I’m not gluten-intolerant but I know a LOT of people are. Thought this would be a good time to share this recipe post again from the Veggies…archives, featuring 4 of my all-time fav salads. Here are some of my fav salads from the Veggie archives. Hope you enjoy one or all of them soon. 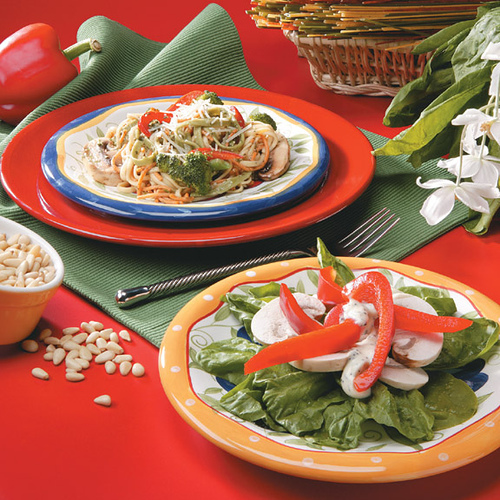 What is your favorite summer salad/food/recipe? If you can, do share a link. Are you a fan of KALE? Can’t say that I have been to date, 😉 in spite of liking almost every other kind of veggie there is! 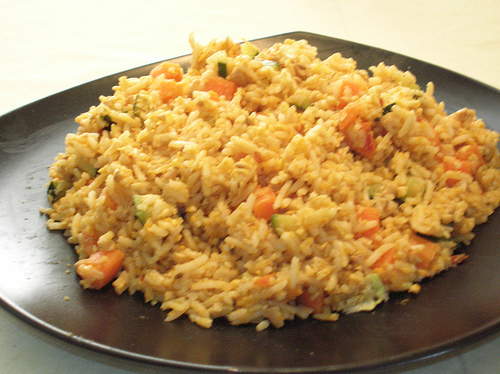 But this post over at Girl Eats Greens grabbed my attention today, as I browsed the WP Reader. One of my favorite things about spring turning into summer is all the deliciousness that continues to show up at my local farmer’s market. While I don’t buy all my groceries there, I do spend time every Sunday walking along with my pup and seeing what’s new to the market. What I’ve seen a lot lately? Fiddleheads. I have no idea what to do with them. But I’m dying to try them. I also stumbled upon a bunch of bright red radishes. 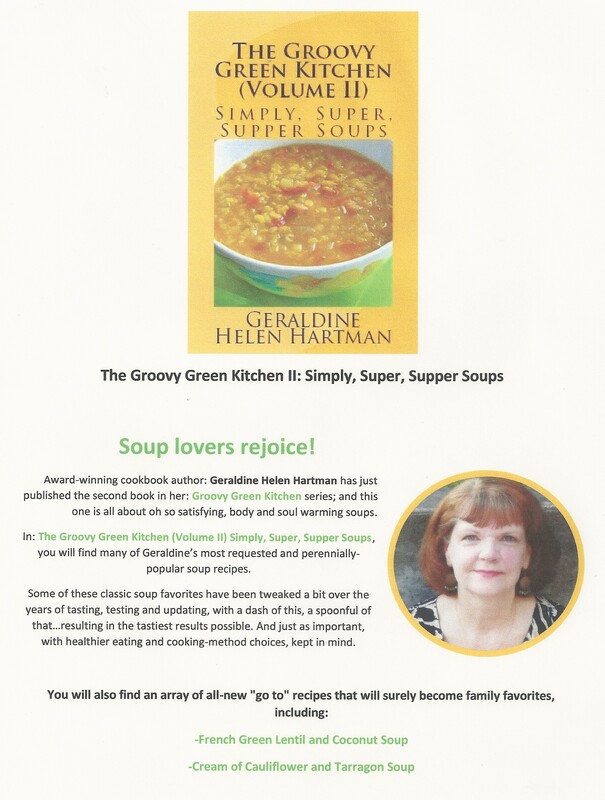 I have updated the photos in both of my: Groovy Green Kitchen cookbooks (Kindle versions) and free updates are now available from Amazon. Amazon.com has kindly informed me that they will be sending out notices to customers who purchased one or both of these eBooks previously, re: the update. But in case you don’t hear from them, you can also contact Amazon to get the free updates. I was having issues with the photos in both of these eBooks, when zoomed in particular. They are now looking much better and I think have added to the overall presentation quite a bit. I have less than an optimal set-up for kitchen photos at present, but with some photo editing that I did and some help from the talented: Lissa at Postcards from the Rain (thanks again Lissa! ), they are now good to go. I am also looking for more reviewers for both of these cookbooks. 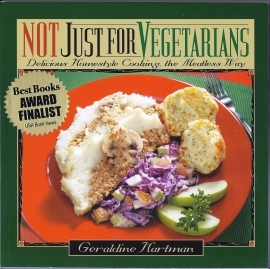 I have been a vegetarian, avid vegetarian cook and cookbook author for over 20 years. But to date, I have not taken “the plunge” to become a total vegan, YET! But it IS a topic of interest to me, and often on my mind. Vegans come in all shapes, sizes and age groups, but it’s still often thought of as something only the “under 30” crowd would embrace willingly and gain from. 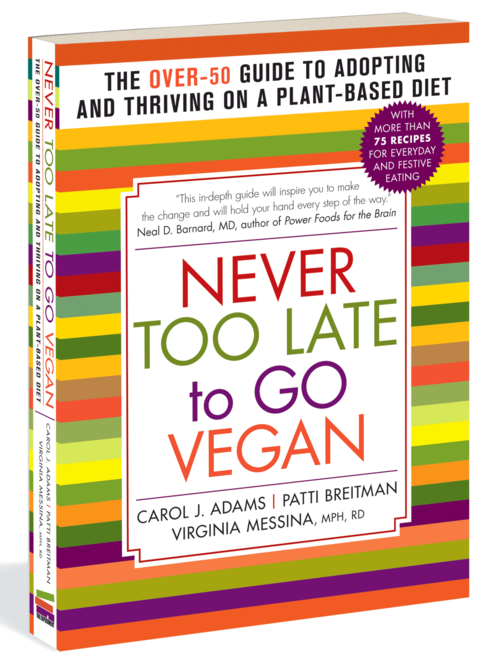 In: Never Too Late to Go Vegan, authors Adams, Breitman and Messina prove without a doubt that this definitely is not just a good choice, only for the younger crowd. This truly is (as the cover states) “the over 50 guide to adopting and thriving on a plant-based diet”. For those of us who want to enjoy a long, healthy life, “to thrive” is something we should all be aiming for; no matter what stage we are currently at in life’s journey. 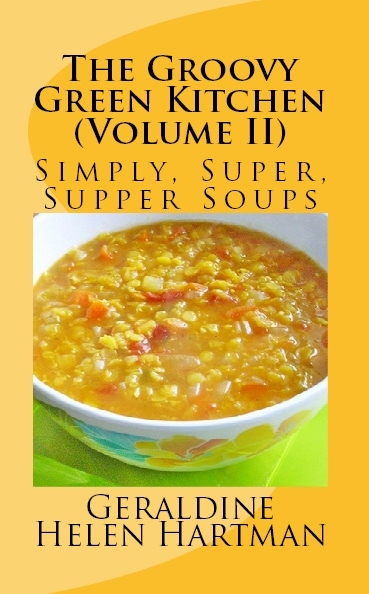 The book contains a wealth of information for the new or wannabe vegan. And although the book is focused mainly on those over 40, 50…and beyond, this certainly is worthwhile reading for anyone, at any age, who is considering making the switch in their own lives to a vegan diet and lifestyle. -and yes, there are a good variety of recipes included too! Cashew Herb Pate, Southwestern Corn Salad, Sweet and Spicy Baked Tofu, Texas Chocolate Sheet Cake and lots of other easy to make choices; and certainly not just the vegans or vegetarians at your table. I found the overall tone of this book to be upbeat, interesting and encouraging too. And unlike many vegan guides, it doesn’t contain a lot of graphic information (and no photos) about the horrors of meat-production. I think that most people over 40, who are at the point of considering veganism, are already all too aware of these troubling and disturbing facts. That for me was a bonus. 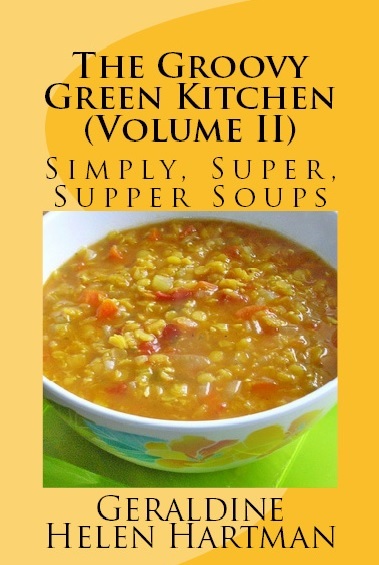 There are many real life stories shared in this book too, again something that I really enjoyed; from older vegans, sharing their own personal challenges in adopting and maintaining a vegan lifestyle. It’s never an easy choice, even in today’s supposedly more enlightened times; especially if you happen to be sharing a home with staunch meat-eaters. 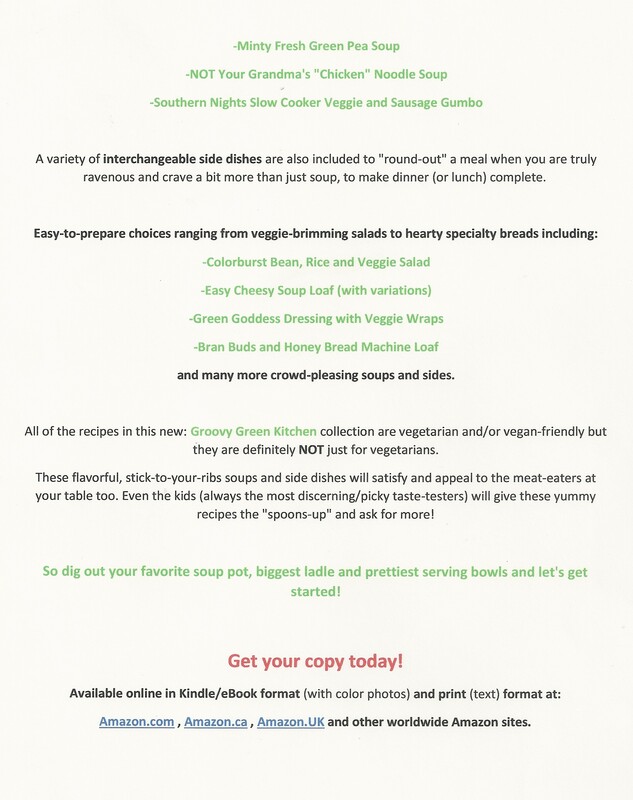 The book wraps up with the recipe section (over 100 pages!) 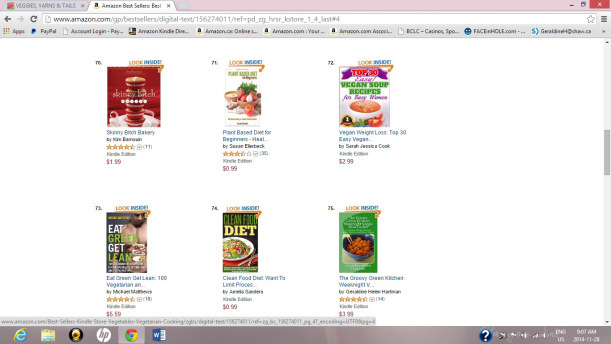 and also a number of recommendations for further books and cookbooks to check out and other suggested vegan products. I’m still not a total vegan, but after reading “Never Too Late to Go Vegan” a couple of weeks ago, I am contemplating taking this step even more.If you’ve also considered a vegan lifestyle and just happen to be over 40…you’ll want to check out this excellent resource book. 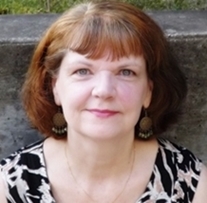 You can also visit the author’s website here. is now available in Kindle and print book formats at: Amazon.com, .ca, UK…. 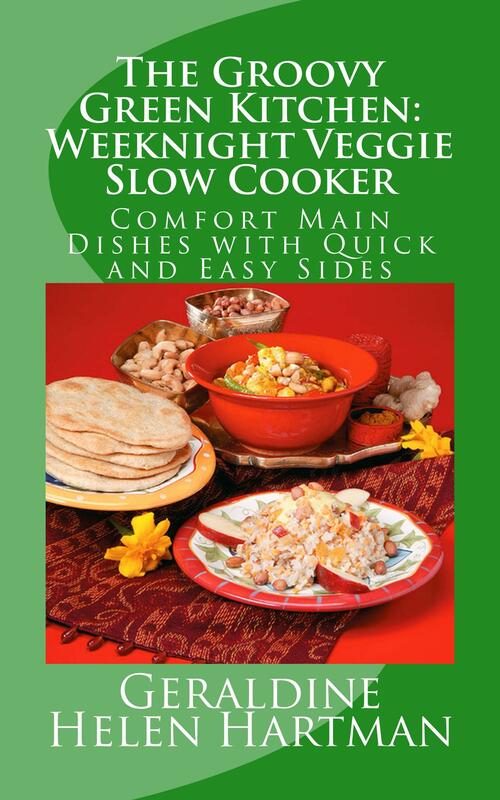 I am SO happy to finally have this cookbook completed. 🙂 And I’m pleased with the results too. I hope you’ll check it out soon, over at Amazon and if you can, please spread the word too. In the meantime, I’ve got a ton of ideas on the go, for promoting this new book. 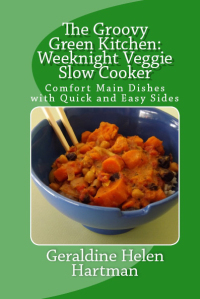 The Groovy Green Kitchen: Weeknight Veggie Slow Cooker was at #75.